The WHYNOT! 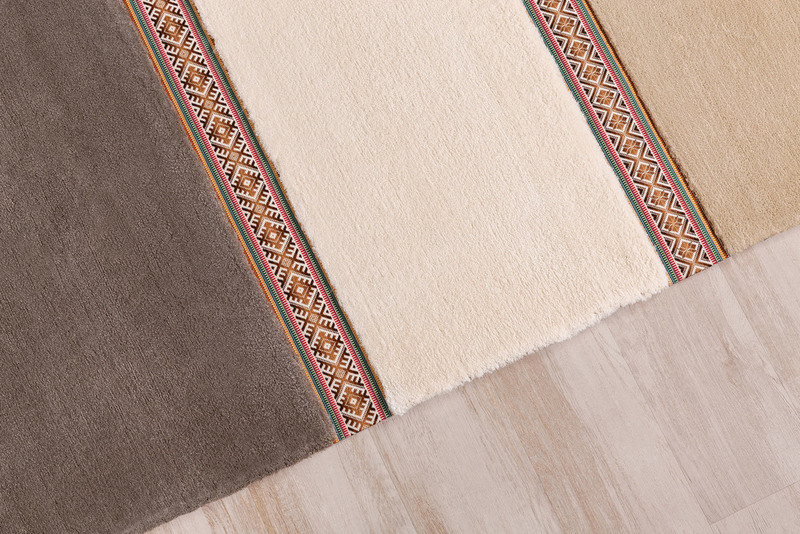 design team has created the LIETUVA carpet after being inspired by the Lithuanian identity – its ancient traditions, its colors, clothing and handicraft. One of the unique Lithuanian craft elements is the colorful woven stripe once used in the national costumes. Different yarns are interwoven together and create geometric patterns, while the stylized flowers are ending in elegant color combinations. In the carpet, these artistic signs are used next to the contemporary modern linen craftwork, bringing together a touch of the Lithuanian spirit. LIETUVA is available in different colors which define the Lithuanian nature: the blues of the lakes and winter frost; the light greys reflecting the sky; the greens of its woods contrasting with wild sand dunes. A reflection of Lithuania portrayed in the LIETUVA carpet.